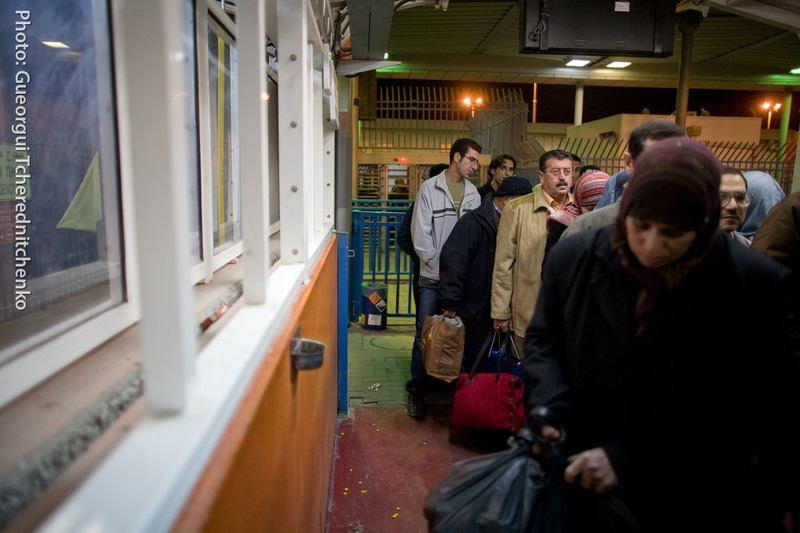 Some of the most immediate obstacles to Palestinian return are “internal”, including the policies of the Palestine Liberation Organization (PLO) and the Palestinian Authority (PA) and the lack of a shared narrative and unified demands. Conceptualizing the ethnic cleansing of Palestinians as a continuous phenomenon rather than as discrete historic events as well as the reality of Israeli colonialism and apartheid over all of historic Palestine provides a valid platform for legal action. If Palestinians advance a second ICJ advisory opinion, they can argue that the present-day crime is a continuing violation - which gives rise to the legal responsibility of the state of Israel for full reparation, including return of the refugees, that extends back to the time when the violation first started. Palestinian statehood is not a substitute for self-determination: Rather, return is the precondition for self-determination. 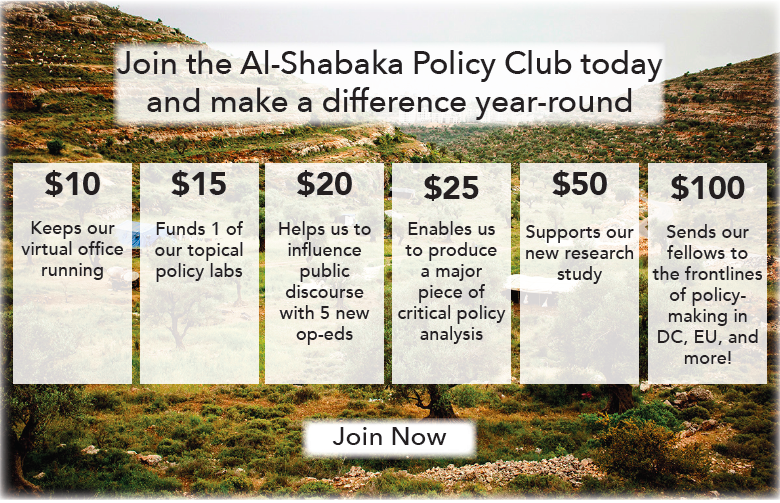 These are some of the key findings of the Al-Shabaka Policy Circle on Return’s first round of substantive discussions over the past six months. Not all members of the Policy Circle participated in this round, and not all those who did necessarily agree with one another. Nevertheless, the roundtable serves as a synthesis of their wide-ranging exchange, which was initially spurred by the commentary published in November 2012 that introduced the goals and approach of this Policy Circle. Other recurring themes and priorities that emerged during the discussion include the question of defining return and its relationship with self-determination, and the concrete actions that are being taken towards return, as will also be discussed below. There is a pressing need for political agency to challenge internal Palestinian and regional barriers to return. Perhaps the most important barrier is the exclusive policy focus of the de facto PLO/PA leadership on the Oslo-era state building project, and the effective denial of the basic rights of the Palestinian refugees residing in the region and outside it. To counter this, we must understand and show that what caused the dispossession and forced displacement among Palestinians in the 1967-occupied West Bank, including East Jerusalem, and Gaza Strip is the same as what dispossessed and displaced 1948 refugees. The dominance of the "OPT context" imposed by the international/United Nations/PLO-PA agenda for Palestine, rarely provides opportunities to work for the return of the 1948 refugees because they do not fit into this context. Indeed, the right of return is seen as a matter concerned with the past, without a way to link the demand for the fulfillment of that right to the present or future. Tools exist to link the right of return to the present and to strengthen Palestinian political agency. The International Court of Justice (ICJ) has affirmed in its Wall opinion that the causes of Palestinian dispossession and forced displacement in the OPT are the systematic Israeli policies of Jewish settlement and forced population transfer. There is a need to show that these policies do not stop at the Green Line and did not start in 1967, irrespective of the persistent international effort to turn a blind eye and to pretend that there is a line separating 1948 from 1967. Moreover, these policies are ongoing and Israel continues to dispossess Palestinians from both sides of the Green Line to this day using a variety of methods, as recently set out in Munir Nuseibah’s policy brief. The discourse about the Israeli occupation helps sustain the perception that there is a separate reality in the territories occupied by Israel in 1967. Indeed, the very use of the acronym “OPT” is part of the problem, and it will not be used in the remainder of this roundtable. There is a need to understand and make understood that, in fact, Israel's legal-political-military system is one unit that has incorporated the territories it occupied in 1967, and that Israel distinguishes between the 1948 and 1967 areas only when this is to the advantage of Zionist policy objectives, e.g. to avoid trouble in international relations, or to make use of its military regime in the 1967 areas in order to more effectively oppress Palestinians there. In short, there is a need to build consensus – among Palestinians first and foremost since it unfortunately does not yet exist – that Israel's Zionist regime over Palestinians before and after 1948 is best described as a regime of colonialism and apartheid, and that in the 1967 areas colonialism and apartheid are practiced "under the guise of occupation". In terms of international law, the right of return of Palestinians is well established, and need not be debated within the context of this Policy Circle. The question of envisaging what return might look like, and how it might be realized, is a more difficult one, and it includes questions of institutional frameworks and restorative justice which the Policy Circle hopes to address in a subsequent roundtable. The fact that the Palestinians are victims of colonialism and apartheid further strengthens the right of return. It is not only a right enshrined for all persons in general human rights law. It is also part of the broader right to “full reparation”, which is a recognized right of victims of serious violations of international human rights and humanitarian law, including international crimes. Full reparation includes the return of the displaced; restitution of housing and property; compensation; satisfaction – e.g. public apology and prosecution of those responsible; guarantees for non-repetition – e.g. reform of laws; and rehabilitation. Conceptualizing and speaking about the right of return in this way has advantages: not only is full reparation the appropriate remedy for the crime, but we also strengthen the rights and claims of 1948 refugees and displaced and obtain recognition of Israel's obligation to provide reparation to Palestinians displaced from, and within, the 1967 areas. The ICJ, for example, has affirmed the right to full reparation of the Palestinian victims of Israel's Separation Wall. Moreover, Israel's ongoing policy of forced population transfer and denial of return constitutes a “continuing violation” that triggers responsibility dating back to when the illegal policy first began, meaning that each new Israeli act displacing Palestinians also strengthens the claims of 1948 refugees. Crucially, reparations and compensation linked to return may also extend to non-displaced Palestinians, on the basis that those who have not been displaced endured the damages and the suffering resulting from the shredding of their society, the fragmentation of communities, the destruction of the sources of their livelihood and their economy, and the colonization of national territory as well as their own particular lands. With regards to the enduring collective identity and political subjectivity of Palestinian refugees, it is important to acknowledge the enduring, albeit inadvertent, role of UNRWA. 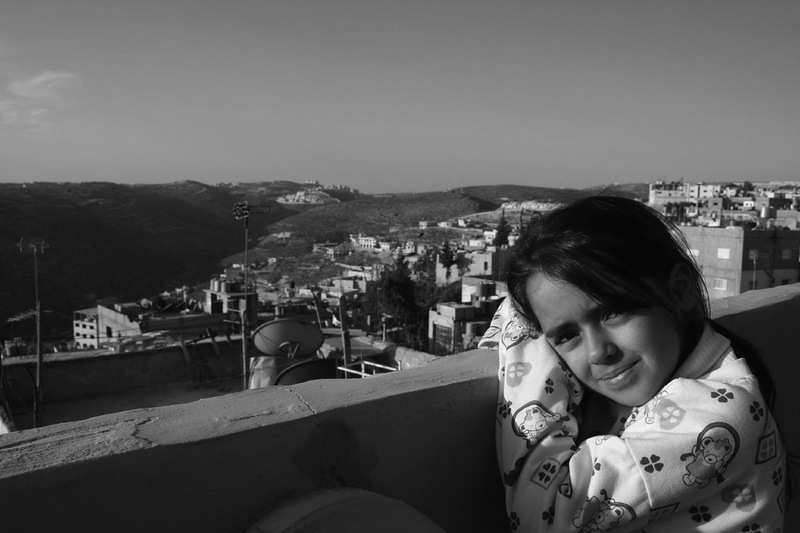 Refugees do not envisage UNRWA only as a services provider but also as a proof of their “refugee identity”, a symbol of the preservation of their rights, thus serves as an unintended guardian of the right of return. 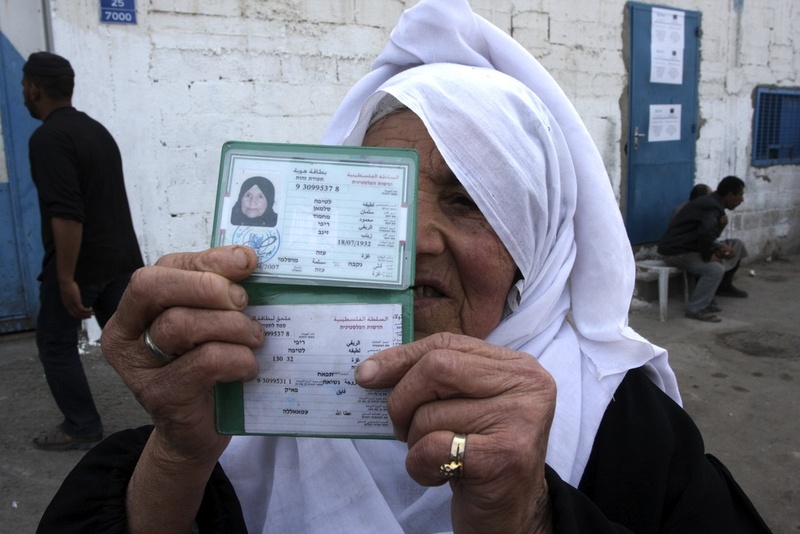 The agency registration card has become a political symbol, a “passport to Palestine”. In the Palestinian case, the right of return is inextricably linked with the right to self-determination, since neither one can be realized fully in the absence of the other. The situation is complicated by the presentation of the statehood project as the fulfillment of the right to self-determination. There is a need for clarity and debate on how Palestinian self-determination should be defined. Areas for debate include the position of non-displaced Palestinians vis-à-vis refugees and internally displaced persons (IDPs), whether self-determination might affect civil rights in host countries, and also the individual and collective rights of Jewish-Israelis in any future polity that might emerge. The right of return is an individual right in accordance with international law, but it becomes a collective right when it is linked to the right of self-determination. Most importantly the first right – return – is considered as a precondition to the second one, in the sense that the Palestinian people have not yet managed to exercise the right to self-determination, because of the absence of the necessary precondition, which is the presence of Palestinian people on their own territory. This condition cannot, in turn, be satisfied without the implementation of the right of return. Thus there is a need to deepen and broaden the discourse on the right to self-determination of the Palestinian people, and to untangle its unfortunate conflation with Palestinian statehood. Self-determination should be seen as an ongoing democratic process that includes the Palestinian refugees in the Shatat (diaspora) as political actors who can participate in determining Palestinian strategies and policies, including strategies and policies regarding their right of return. From this perspective, self-determination is not only an outcome to be addressed after liberation. With regards to the PLO-PA statehood project, 1967 has become the marker where historical time and the territorial landscape converge to define the new Palestine, with a so-called national leadership showing total disregard for at least half the population and the majority of the national polity. As such, defining the “return” of 1948 refugees as being only to this territory is never likely to achieve public acceptance as many years of research in camps in Jordan have shown. There, the vast majority of refugees do not consider this a return, but in fact a regression in their trajectory – a worse scenario than their present exile. There is an importance to both concrete and symbolic actions towards return in the present, and further that a broad range of existing actions can and should be understood within the context of return. Such actions include the pursuit of civil rights in host countries, Boycott, Divestment and Sanctions (BDS) campaigns, spatial documentation and planning efforts, and possible new legal avenues via the ICC, in addition to direct return actions. However, it is imperative for Palestinians to challenge and hold to account the de-facto PLO leadership in order to achieve meaningful progress on many of these fronts. While the process towards a wholesale return of Palestinian refugees may ultimately begin with recognition by Israel that they have caused the Palestinian catastrophe, followed by the willingness to implement principles of international law in such matters – including return, compensation, reparations – it is needless to say that this would not come about as the consequence of good will, but rather of state interests and changes in power relationships and structures on the ground. When strategizing possible avenues for action, there is a need to remain aware at all times that the primary obstacle to refugee return is the political balance of power in favor of Israel, and that efforts for changing the balance of power by weakening and isolating Israel should be seen as efforts for refugee return. Since Israel's primary allies are Western powers, and because it allows for active participation by everyone, it can be argued that the BDS campaign is the most effective and strategic campaign for refugee return at present. Regardless, much more effort is needed to involve refugees in exile in BDS, both for its ability to achieve victories and to grow confidence in their ability to bring about change. 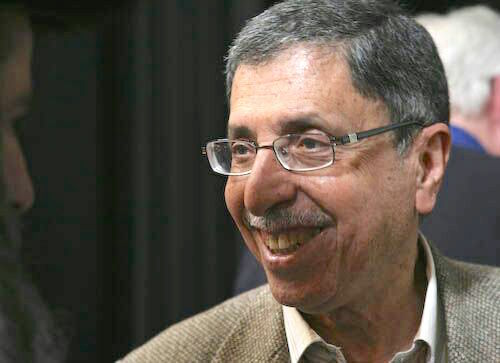 A strong case can also be made regarding the importance of campaigning for democratic elections of the PNC as a means to rebuild the PLO as representative of the entire Palestinian people and to transform current PLO strategy, which continues to undermine effective initiatives for isolating Israel and working for return. Beyond the territory of historic Palestine, Arab host countries, especially Lebanon and increasingly Jordan, have imposed socio-economic discrimination on Palestinian refugees in the name of the right of return. They justify the denial of the refugees’ basic human rights by presenting it as preventing "tawteen" (imposed nationalization), preserving the identity of refugees and maintaining their right of return. However, such an argument is a tenuous one. On the contrary, the majority of Palestinian refugee communities see civil rights as a strategy for survival, mitigating their everyday suffering en route to their return, i.e. as an "asset" for the battle of return. That is why, in Lebanon, the struggle of Palestinian refugees towards obtaining a wider scope of basic human rights is considered an integral part of the refugees’ struggle for return, as is reflected in civil society campaigns advocating for Palestinian refugees' rights in Lebanon. There exist many other civil society-based initiatives, campaigns and actions that may contribute to changing the balance of power and achieving return. These include strategies for criminal proceedings against Israeli suspects of international crimes in courts abroad and/or the ICC, strategies using UN mechanisms, as well as direct actions organized with Palestinian refugees/displaced persons. These actions should not be thought of as competing spheres - e.g. legal vs. political vs. public discourse vs. direct action – but as inter-connected and mutually supporting. However, none of these have a fair chance of success unless they can build on the achievements of BDS, obtain the support of the de facto Palestinian leadership, or gain the confidence and participation of a substantial section of Palestinian refugee communities in Palestine and the Shatat. This roundtable has provided an opportunity to identify the spectrum of challenges, not least internal, to achieving Palestinian return. While the exchange has illustrated how the issue of return is intertwined with many others including rights, identity and self-determination, it has also highlighted the fact that adopting a consistent historical and legal framing of the Palestinian struggle, and acknowledging the presence of a single Israeli legal-political-military system across all of historic Palestine, could open promising avenues for action. The members of the Policy Circle, which is facilitated by Dena Qaddumi and Ahmad Barclay, plan to invite additional contributors to the next roundtable in order to debate and expand upon the issues raised. Al-Shabaka Policy Advisor Ingrid Jaradat Gassner is a co-founder and former director of Badil Resource Center for Palestinian Residency and Refugee Rights (Badil). She has worked extensively in the fields of international law and advocacy, including innovative research on Palestinian refugees, the right to return, Israeli colonialism and apartheid and related third-state responsibilities. She has also coordinated research for a Palestinian civic initiative seeking to register exiled Palestinians as voters and campaign for direct PNC elections and carried out advocacy with the Civic Coalition for Palestinian Rights in Jerusalem. She currently works as an independent consultant. Al-Shabaka Policy Advisor Dena Qaddumi is an architect and urbanist currently based in Doha. Her research interests are primarily concerned with how social movements engage with urban space and how this process creates new avenues for citizenship formation.